What are likely the final commands before Tuesday’s historic flyby of a distant icy world have been sent to Nasa’s New Horizons spacecraft. The probe’s pass of the 30km-wide object known as Ultima Thule will set a new record for the farthest ever exploration of a Solar System body – at 6.5 billion km from Earth. The upload included a two-second timing correction that ensures New Horizons knows precisely when and where to point its cameras as it sweeps alongside its target at a breathtaking 14km/s. “The spacecraft is healthy and we’re excited!” said Mission Operations Manager Alice Bowman when she briefed reporters at the control centre embedded in the Johns Hopkins University Applied Physics Lab (JHU-APL) in Maryland. 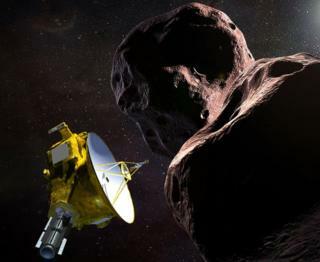 New Horizons should get to about 3,500km from the surface of Ultima, with the moment of closest approach set for 05:33 GMT. It is programmed to acquire gigabytes of photos and other scientific data in the hours leading up to and just beyond the encounter. Ultima is in what’s termed the Kuiper belt – the band of frozen material that orbits the Sun beyond the eighth of the classical planets, Neptune. And Ultima is further out in space even than the dwarf planet Pluto which New Horizons visited in 2015. 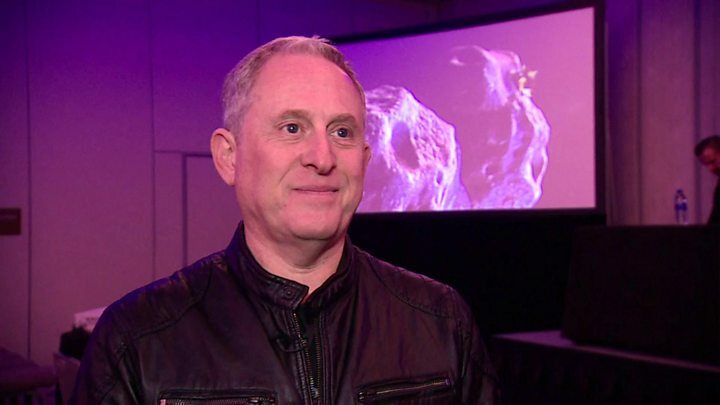 Hal Weaver, the JHU-APL project scientist on the mission, said the diminutive body was “probably the most primitive object ever encountered by a spacecraft, the best possible relic of the early Solar System”. New Horizons has been taking hundred of pictures of its quarry on approach. And although Ultima has appeared only as a faint dot in these images, the information gleaned from them has been critical in helping the mission team develop the navigation model that will be used to guide the probe through its encounter. But they have also thrown up something of a puzzle: the light reflected off the object is much flatter than expected for a body that is anticipated to be irregular in shape and rotating. Several explanations for the lack of variation in the “light curve” have been proposed. One could simply be the geometry of the viewing angle; another is that Ultima is actually two or more objects moving about each other. This latter possibility has long been a topic of speculation. New Horizons will get closer than at Pluto, which is good for image detail; but it means that if the pointing is off, the probe could be sending back pictures of empty space! Hence the importance of the final timing commands uploaded to the spacecraft on Sunday. It will be late on Tuesday before the first of a few choice images in downlinked, and it will be September 2020 until every last scrap of data from the flyby is pulled off New Horizons.